A Christian counter-terrorism officer involved in the killing of Jean Charles de Menezes is suing the Metropolitan Police over allegations that senior officers tried to cover-up vital evidence. He says his faith compelled him to blow the whistle and he is now claiming thousands of pounds for loss of overtime pay and promotions after Special Branch bosses allegedly sidelined him. One allegation involves anti-terror officers perverting justice by replacing a chief inspector with another to give more favourable evidence at the 2008 inquest into de Menezes’s death. 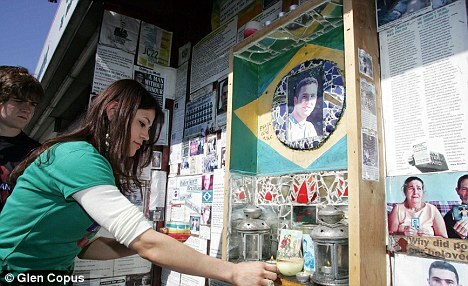 An inquest jury returned an open verdict into the shooting of the 27-year-old Brazilian who was mistaken for a suicide bomber in 2005 – rejecting the police view that he was killed lawfully. The detective sergeant, who cannot be named for legal reasons, first made his concerns known after he gave evidence under a codename at the inquest. Two more serious concerns were reported about issues within the Met Police’s counter-terrorism department, known as SO15, last December that form the main part of his tribunal case. He is also suing for religious discrimination and loss of earnings. Mr de Menezes was shot seven times in the head at Stockwell Underground Station in South London after police mistook him for bomber Hussain Osman. He was killed on July 22, 2005, the day after Osman and three fellow terrorists had gone on the run after trying to bomb the Tube in a follow-up attack to the July 7 London bombings which killed 52 and injured 977. The jury at the inquest on the Brazilian electrician rejected the account of police marksmen, branding them ‘liars’, and sided with Tube passengers who said the officers failed to issue a warning before opening fire. 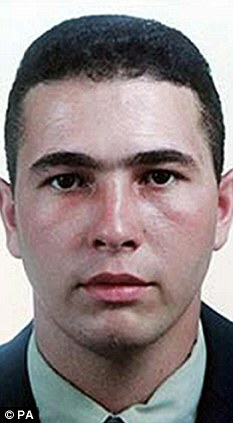 They returned an open verdict, which was the most strongly critical option available to them after the judge instructed them there was insufficient evidence to rule that de Menezes was unlawfully killed by police. The Crown Prosecution Service ruled out criminal charges against anti-terror officers in 2006 and after the inquest in 2009. The Met was instead fined £175,000 under health and safety laws. The Independent Police Complaints Commision has investigated one of the detective sergeant’s claims finding no evidence to support the allegation. An IPCC spokesman said: ‘We received a referral from the Metropolitan Police Service on 4 January 2011, as a result of an allegation made by a detective sergeant to the Directorate of Professional Standards in December 2010. The allegation had also been the subject of employment tribunal proceedings. ‘The IPCC independently investigated the allegation, examining statements given to the Employment Tribunal and interviewing key people involved. The decision to call the DCI was made by counsel on the basis that he was better able to answer the questions.